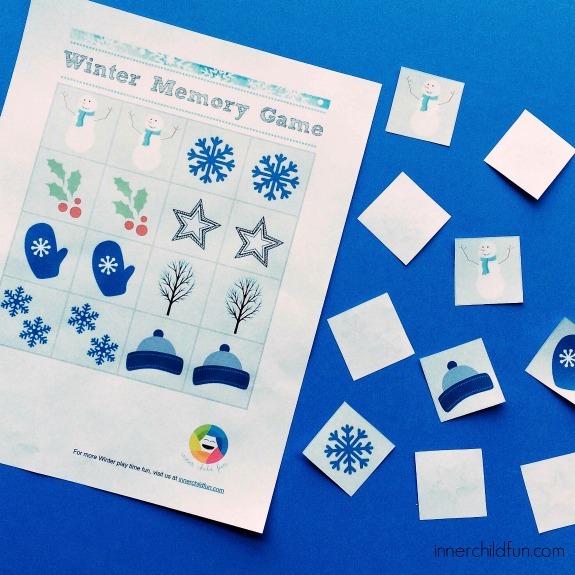 Here is a cute free printable Winter matching game to keep the kids busy on a snow day, or anytime you need a quick little activity! This game works well for a wide age range of kids. Younger kids may enjoy matching the cards while they are shuffled and facing up, and older kids can try playing memory with the cards facing down. Once the file is downloaded, print it out on heavy card stock paper . Cut out all of the cards. Shuffle them up and place the cards face down on a table. Start with the youngest player, and flip over one of the cards. Player 1 flips over another card and tries to make a match. If a match is made, player 1 keeps the cards. If not, both cards are flipped back over face down. Repeat for additional players. The player with the most cards wins! For more great Winter activity ideas, follow our Winter Play board on Pinterest! Follow Inner Child Fun Kids Crafts’s board Winter Play for Kids on Pinterest. I know I am being pedantic but….. I have just been looking at the winter crafts and most of the snowflakes do have 6 points, which is correct. However the Around the Web Snow and Ice link has 8 pointed snowflakes which is not correct.